GREEN BAY – Badger State Brewing Co. has announced the expansion of its production facility, adding new brewing systems as well as additional packaging and processing equipment. The project will also create several new key full-time positions and expand the part time workforce at the brewery as well. “This project will finally allow us to bring more of our unique and forward thinking beers to new areas in the State while providing more beer for our home market in N.E. Wisconsin at the same time”, said Andrew Fabry, President & Founder of the brewery. “We have been constrained by our small brewing system and the rapid growth within our home Green Bay market which has forced us to keep brewing so frequently that tank space has become less available for some of our newer and even more popular beers. We are extremely fortunate to be where we are after just a few short years, but we’re not done yet.” “We need to express a huge thank you to the retailers, bars, and distribution partners that have supported us and helped us grow throughout the state, we cannot wait to keep working harder and better for you,” Fabry also stated. The new production equipment will allow for annual barrel output of up to 20,000 barrels of beer brewed annually. The equipment will also help ensure the quality that Badger State has become known for is intact across all beers and forms of packaging and further distribution territory. Badger State Brewing opened in 2013 and remains operated by it’s three founders including Sam Yanda, Mike Servi, and Fabry. For more information about Badger State Brewing Co., contact Badger State Brewing Co. at 920-543-5320, or by visiting www.badgerstatebrewing.com. 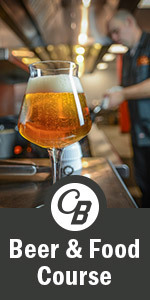 The post Badger State Brewing Announces Expansion appeared first on CraftBeer.com.